Not everyone is cut out for eating a strict and conformed diet. Eating five or six meals of the same thing or slight variations of the same thing can lead to diet boredom quickly! The one thing that is certain, eating small snack portions frequently can help control hunger, keep blood glucose levels balanced and keep portion sizes down when it comes to more substantial meals. The key to incorporating healthy snacks into your plan is all about making the right choices. Here are 5 rules to guide you on your snacking selections! Just cause it is small and less calorie dense than a regular meal, it still needs to count toward your daily calorie allotment. 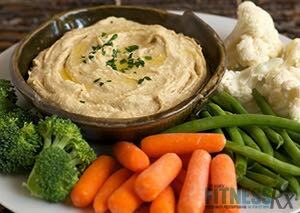 Measure out a snacking size serving, and take note of the calories! If you are eating nuts, count them out and put the bag away. 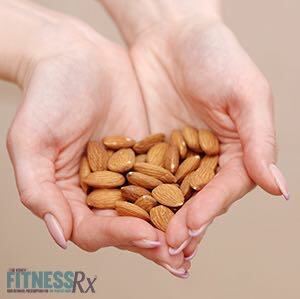 Keep snacking calories between 150 to 200 calories. Don’t use your snacking as an opportunity to have a small piece of something that is calorie reduced but still not good for you (i.e. a processed and packaged snack). Rather, use it as a way to get in nutrients that you’ve missed out on throughout the day. Choose nutrient-dense foods to snack on that are high in fiber, full of vitamins and minerals. Skipped you’re your veggies at lunch? 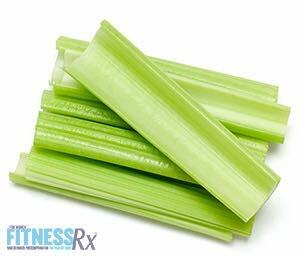 Try snacking on kale chips or celery sticks in the afternoon. Are you seriously craving chocolate, or have a thing for salty snacking? Instead of avoiding these cravings, find a worthy healthy option to snack on that kills the craving while satisfying your hunger! Can’t stop thinking about chocolate? 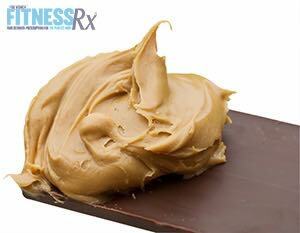 Eat one square of dark chocolate with a tablespoon of nut butter. Need a salty snack? Try baked taro root chips. A great time to get in some quick nutrition is pre- or post-workout. A combination of protein and carbs can help fuel your workout and enhance recovery when consumed about 30 minutes before you train and within 15 to 30 minutes post-workout. Tired of a boring protein shake? 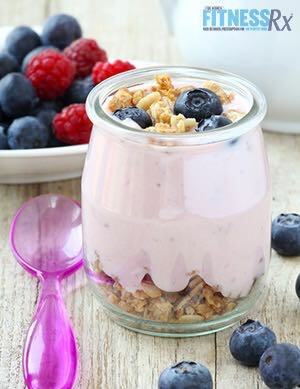 Try nonfat Greek yogurt mixed with some fresh berries and a tablespoon of oatmeal. Don’t settle for an unhealthy snack. Always be prepared with healthy options when on-the-go or at work. Without a healthy choice available, you could fall victim to anything and everything once your blood sugar takes a turn in the downward direction. Keep handy packs of single servings of nuts/seeds and/or low calorie, low carb protein bars! This will ensure you are prepared when hungry rises! Pumpkin Seeds are high in muscle-building minerals magnesium and zinc, as well as omega-3 fatty acids. Pumpkin seeds are also rich in tryptophan that converts to serotonin in the body, making it a feel-good snacking option! A one-ounce serving delivers 15 g of carbs, 5 g of fiber, and 6 g of healthy fats. Tired of eating nuts? 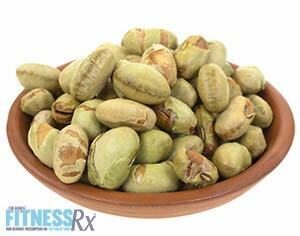 Try dry roasted Edamame, which is loaded with protein but less fat than nuts. Since Edamame are soybeans, they provide all the essential amino acids your body needs. A 100-calorie serving packs 11 g of soy protein, 6 g of fiber and just 3 g of fat. Dark Chocolate is lower in sugar versus it’s milk chocolate alternative, not too mention its also high in antioxidants. If you are seriously craving a sweet treat, have a few dark chocolate squares with 1 tbsp of your favorite natural nut butter! You will get the satisfaction of sweet cocoa without the unwanted calories or sugar! Have a salt craving? Try making your own Kale Chips. Simply strip Kale away from the stem, tear into bite-size pieces and mist with oil. Coat the Kale with some simple seasoning, and bake at 350 F until crispy. Kale is loaded in iron, potassium, and vitamin A! and 1 g of protein.